Welcome to ULC limousine rental service in Glendora. We are a leading limousine rental service in Glendora and have been catering to all kinds of clients all over Southern California. Our limo service in Glendora is of top quality and our customers are our priority. Why you should hire our limo service in Glendora. 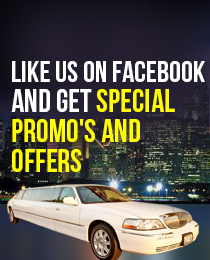 Beautiful cars: You will simply fall in love with our limos in Glendora. We have everything from stretch limos, Sedans, party buses, SUV’s and every other kind of limo Each limo in our Glendora division is in the best condition, safety checked, and clean and luxurious. Affordable prices: Our prices are lower than the most other limousine rental services in Glendora. We at ULC limos understand that a limousine ride should not burn a hole in your pocket, especially when you are already spending a lot on the event that you are hiring the limo for. So be it a birthday party, bachelor/bachelorette party, wedding or any other special occasion, you will be able to afford a ULC limousine in Glendora. Best chauffeurs: We have fully trained, certified and professional chauffeurs driving our limousines. They arrive on-time with your limo rental in Glendora and make sure that you get what you expect and deserve from our services. Polite service: You won’t have to worry about limos not reaching on time or breaking down in the middle of the road. Our ULC’s Glendora limousine rental service provides the best service; not only with the vehicles, but also with the way we treat our clients. Which glendora Limo is Right For You?